During the past 25 years depression and posttraumatic stress disorder have gained increasing attention from mental health professionals. While external symptoms of silence, depression, rage, and confusion may be evident to observers, what is often less easy to diagnose are the internal fears, voices, and obsessions which aggravate the above-mentioned symptoms. Finding ways to communicate certain types of anguish to an audience is a constant challenge for playwrights and screenwriters. New technology makes it possible to project a combination of archival footage, animation, and film onto a cyclorama (or strategically placed video screens) and distort the sounds a person might be hearing inside his head. The other option, of course, is to create a moody character subject to bouts of silence, confusion, amnesia, and despair. Two new dramas deal with the specific issue of people who have been abandoned or taken from their families for long periods of time. In one case, the mental and emotional damage is front and center; in the other it's much harder to understand. Each drama, however, reveals the fragility of the human soul and the stubbornness with which others may try to reach out and connect with the individual struggling to free himself from an unimaginable emotional burden. I found it interesting that key moments in The Dune were underwritten by music from Giuseppe Verdi's opera, La Traviata (which is subtitled "The Lost One"). Written and directed by Yossi Aviram, this film begins in Israel where a handsome middle-aged man named Hanoch (Lior Ashkenazi) owns a bicycle repair shop in a small desert town. Hanoch is the strong, silent type, a talented chess player with a kind heart who is facing a peculiar deadline. His wife, (Dana Adini), who has recently become pregnant, is waiting for her husband to decide whether or not they will have the child. With pressure mounting from her family, Hanoch finally confesses that he can't handle the responsibility of being a parent. Soon after bringing Yaël home from the hospital where she has undergone an abortion, Hanoch gets on his bicycle and disappears. Not even an invitation from Fogel (Moni Moshonov), an elderly chess buddy who offers him shelter, can keep the troubled man in Israel. What inner torment propels Hanoch to France? Only time will tell. Meanwhile, in Paris, Reuven Vardi (Niels Arestrup) is a missing persons investigator who is close to retirement. A gay man in a long-term relationship with Paolo (Guy Marchand), Reuven is assigned to track down a famous author named Moreau (Mathieu Amalric) who has been missing for three weeks. 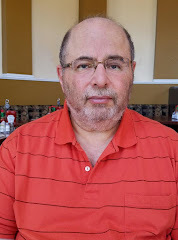 When Reuven finds the depressed writer in a country inn and persuades him to, at the very least, have lunch with him so that they can talk, he thinks he may have solved the case. Then Moreau commits suicide by jumping out of the bedroom window (proving, once again, that there is no such thing as a free lunch). Depressed over his failure to prevent Moreau's death, Reuven approaches his boss, Audiberti (Jean-Quentin Châtelain), and tells him of his desire to apply for early retirement. Knowing full well how emotionally Reuven reacts to some of his cases, Audiberti advises him to take some time off. Meanwhile, Hanoch arrives in Paris, shadowing Reuven's movements as the aging detective walks his dog and goes to his favorite café. Before leaving town on his bicycle, Reuven takes one last look at a picture of a young boy before putting it in an envelope and dropping it in a mailbox. Just as Reuven and Paolo are discussing their plans for a trip to Italy to celebrate the birthday of one of Paolo's relatives, Audiberti presents Reuven with a baffling missing persons case. A pregnant young woman named Fabienne (Emma de Caunes) who was walking her dog along a beach on the Western coast of France, discovered the body of a man lying face down in the sand. After medics arrived and took him to the hospital, the staff could not get their patient to speak. He had no identification on his body. In fact, the only item of interest he carried was a copy of the news story about Moreau's death. Although Reuven and Fabienne take turns visiting the silent stranger, they cannot get him to speak. One night, however, Reuven gets a call from Paolo with some stunning news. After he logs into the police department's database of missing persons and types in the name "Hanoch Vardi," he discovers that the silent stranger might well be the child he left behind so many years ago when he traveled to Turin on a business trip, met Paolo, fell madly in love, and abandoned his wife and two-year-old son. The Dune (which will be shown as part of the 2014 San Francisco International Film Festival) offers a fascinating solution to a missing persons case as well as a poignant resolution to Hanoch's long years of depression. It's also one of the rare films to show an elderly gay couple as a model of stability in a world that seems hopelessly lost in chaos. While Bay area audiences have been thrilled by productions of two searing dramas by Linda McLean (Any Given Day at Magic Theatre and strangers, babies at Shotgun Players), there's no denying that the world premiere of the Scottish playwright's latest drama was a disappointment. That's not to say that Every Five Minutes is a bad play. It's a difficult work for audiences to digest. Prior to the world premiere, McLean had strongly hinted that Every Five Minutes might be much more confusing than her previous plays. She delivered on that promise in spades. In her latest work, McLean has dug into some challenging and extremely messy material. Under the guidance of director Loretta Greco, Magic Theatre has delivered a challenging production that is appropriately messy and confusing for even the most welcoming of audiences. Every Five Minutes does not provide audiences with a linear narrative. Nor do its multiple flashbacks, abundant stage tricks, cinematic enhancements, and core ensemble attempt to deliver a clearcut solution to the mystery of Mo (Rod Gnapp). Instead, the drama takes audiences on a nightmarish roller coaster ride through the shattered soul of a battered political dissident who finds it hard to pick up the pieces of old friendships while still struggling to pick his brains up off the floor. As McLean's 90-minute psychodrama unfolds, the audience learns that Mo was abducted from his friends and family and spent 13 years as a political prisoner who was tortured with sleep deprivation and cold baths while being held in captivity. Although his loyal wife, Sara (Mia Tagano), traveled to the facility where Mo was being held and tried any number of ways to gain visitation rights, the prison's administrators did a fine job of keeping her separated from her husband. As the action ricochets from Mo's return to his family after being released from prison to depicting his various tortures, the absurd demands of a bureaucratic census taker (Maggie Mason), and the psychological and emotional demands Mo's imprisonment has made on his wife as well as their closest friends -- Rachel (Carrie Paff) and Ben (Sean San Jose) -- the action is frequently interrupted by the antics of two sinister clowns named Bozo (Patrick Alparone) and Harpo (Jomar Tagatac). While the two clowns deliver a hilarious rendition of "Sisters" (from Irving Berlin's 1954 movie musical, White Christmas), the actors frequently doff their clown gear to reappear as hospital or prison attendants caring for the physically, emotionally, and spiritually exhausted Mo. The scenes which bookend McLean's drama show Sara and Mo entertaining Rachel and Ben at a welcome home party where Mo is reunited with his goddaughter, Molly (Shawna Michelle James), a teenager whom he last saw when she was three years old. In the intervening years, Mo's life has entertained enough thrills and chills to invoke memories of Killer Klowns From Outer Space. One thing is for sure: after the run of Every Five Minutes, I have a hunch that Rod Gnapp (a veteran Bay area actor who gives a bravura performance as Mo) may be as leery of bathtubs as Janet Leigh was of showers after filming Psycho with Alfred Hitchcock.